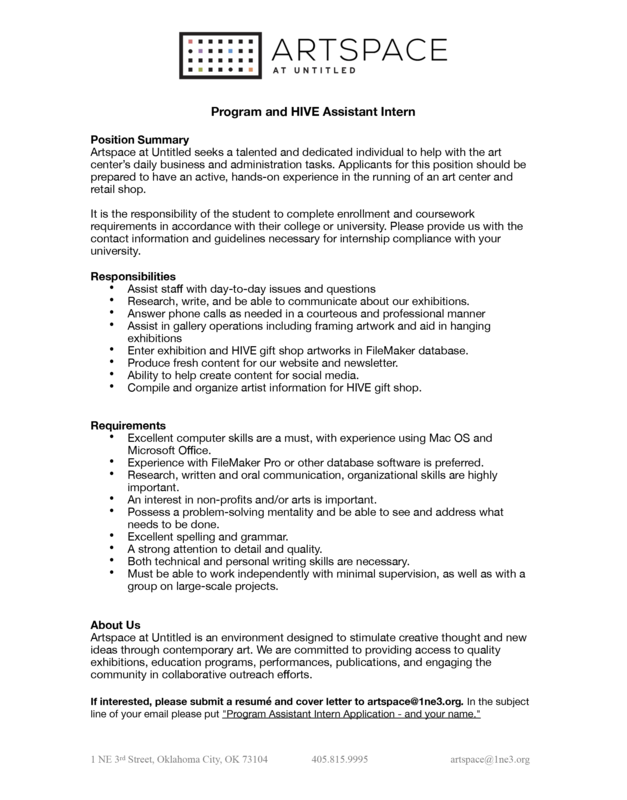 ARTSPACE at Untitled seeks motivated individuals for internships in one or more of the following areas: arts administration, IT, art education, public relations, curatorial management, art history, professional writing, development, exhibition and gallery protocol, and fundraising. Internships are available for college credit during the fall, spring and summer semesters. 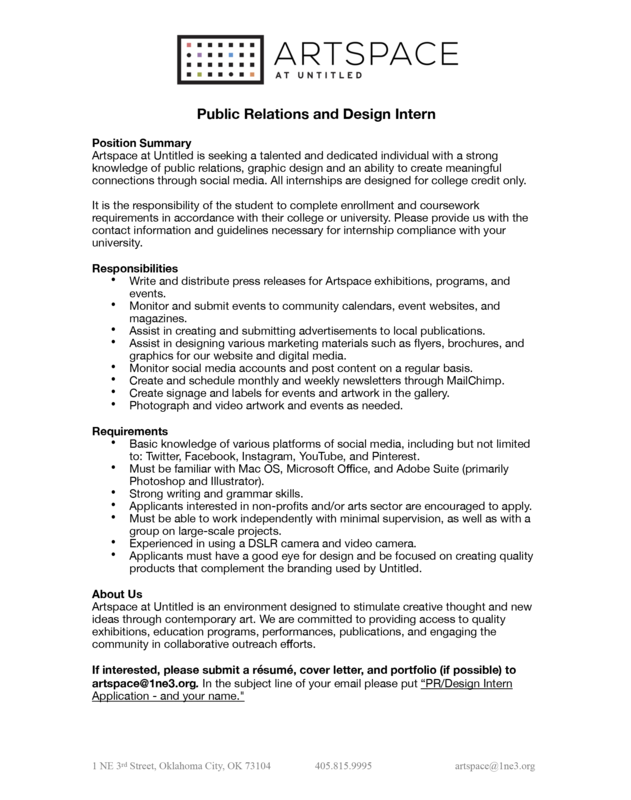 Interns may be undergraduate, graduate students, or recent graduates. Opportunities are competitive and offer invaluable practical experience in the arts and nonprofit management. 2019 Spring internship opportunities now open!